The three-day Northam Vintage Fair display was well worth it. 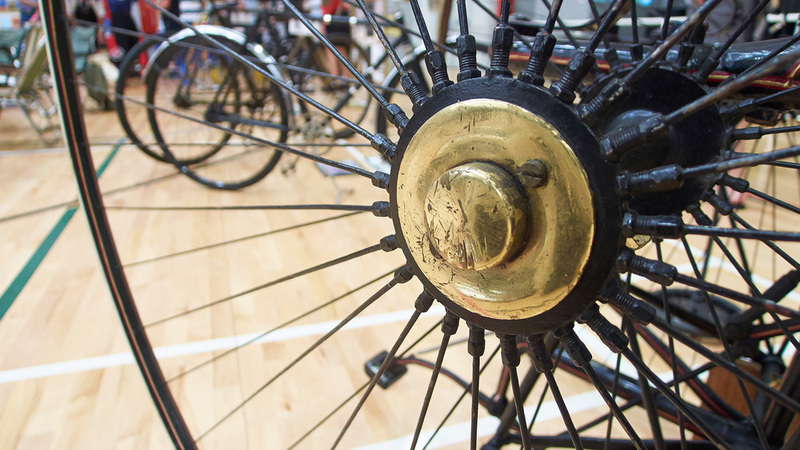 The display — particularly Mal's collection of penny-farthings, drew a lot of attention from the steady stream of visitors during the three days — Easter Saturday, Sunday and Monday. A lot of people wanted their photograph taken sitting on a penny farthing or the two trikes, the Columbia or the 1881 trike. Merv Thompson, Mal and Myrene Bell and Robert Hunt pulled out all the stops for a spectacular display. Mal and Myrene's collection of 19th century bikes, mostly Penny Farthings never fails to enthrall the public. Robert Hunt's collection of 70's and 80's bikes includes a fascinating Malvern Star customised by his uncle for the specific purpose of speeding across the Sydney Harbour Bridge. Merv Thompson had some of his beautifully restored collection present. 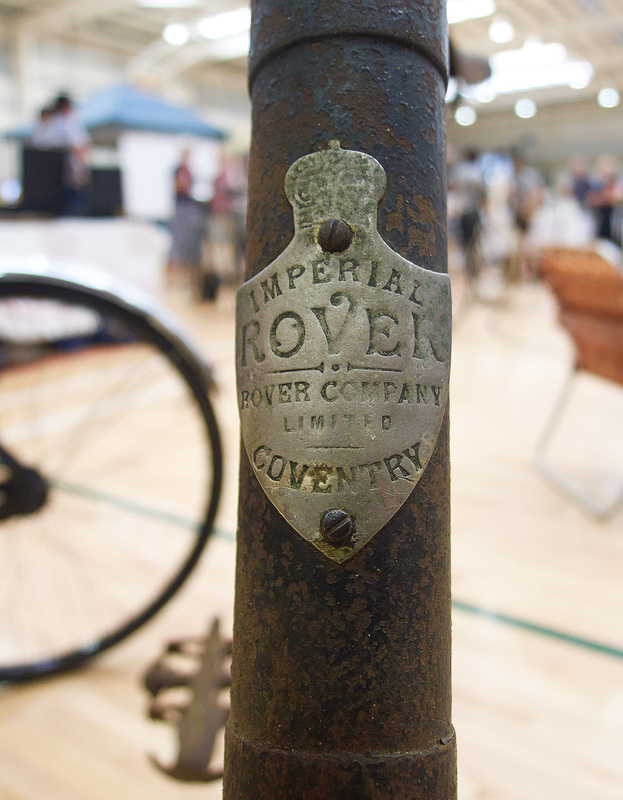 A highlight was the pidgeon pair of turn of the century Rovers, one in "as found" condition. Mery had a great time showing people how his four wind up gramophone players worked, including two of the Swing Zing Dance School troupe, who did an impromtu performance to a record. The Club's area inside the Recreation Centre was about 12 metres by 10 metres square and there was plenty of room for our display. Those who did the trip were Mal and Myrene Bell, Mery and Dawn Thompson, Harold and Judy Perry and Robert Hunt. Peter Wells visited with his daughters Angela and Ruth, son-in-law Simon and grandson Douglas. Tim Eastwood and Rob Frith brought their machines up by train on the special organised for the event, leaving Perth at 10am and returning from Northam at 4pm. One comment from a visitor about Robert's 1975 Peugeot Record du Monde: "That's not historic, I had one like that." She looked as though she had worn better than the bike!